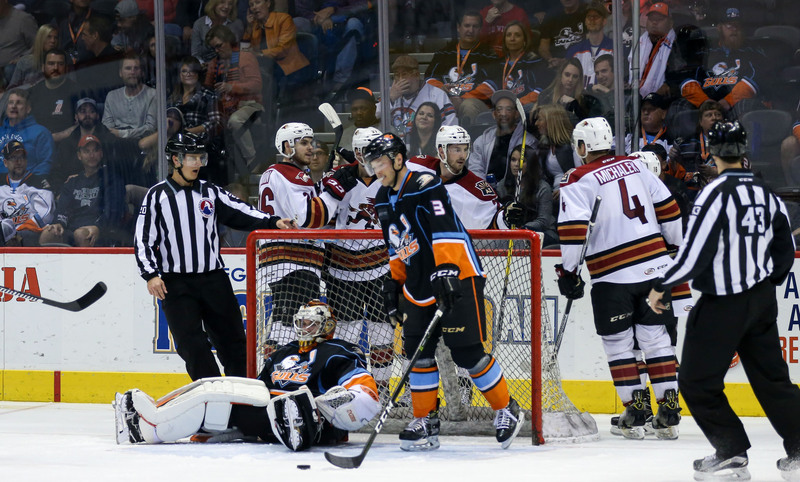 The Roadrunners’ two-game win streak at San Diego’s Valley View Casino Center was snapped Friday night in the club’s 4-1 loss to the Gulls. The Gulls jumped out to a 3-0 lead early in the second period. Marek Langhamer, who got the start for the Roadrunners, was pulled after surrendering three goals on 11 shots through the first 23:37 minutes of regulation. 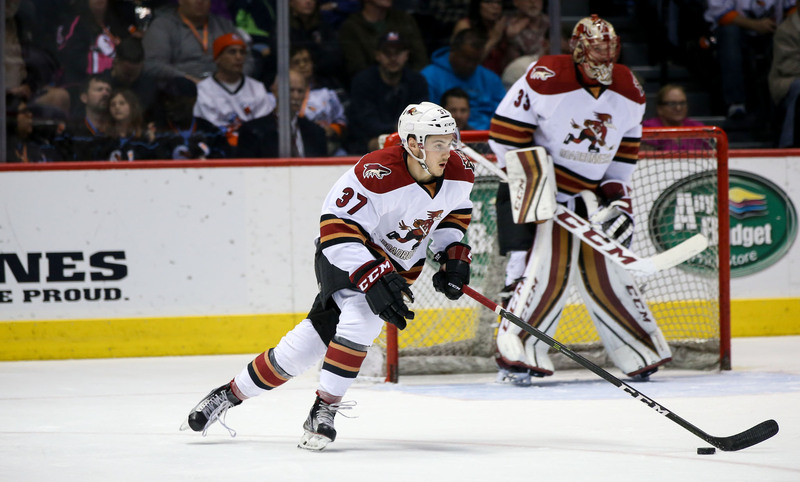 Shortly after Adin Hill came in for relief of Langhamer, Dysin Mayo buried his first-career American Hockey League goal to get the Roadrunners on the board. Mayo’s goal, a power play marker, was assisted by Joe Whitney and Grayson Downing – both players registering their first points in Roadrunners uniforms. The Gulls upped their lead to 4-1 early in the third, which was the night’s eventual final score. Adin Hill stopped 16 of the 17 shots fired his way. The Roadrunners are now 2-7-0-0 against the Gulls in seven meetings with their Pacific Division counterpart this season. With the loss, Tucson remains at fifth-place in the Pacific Division. The team will continue its road trip Saturday night when they take on the Ontario Reign at the Citizens Business Bank Arena, where the puck is scheduled to drop just after 7:00 PM MST.